Mark Aethen Agana, co-founding member of the T'nalak Youth Group, an organization that has devoted itself to help graduating students from public schools make it to college through a specialized tutorial program run by students of Notre Dame of Marbel University is one of this year's finalists in the 2010 Bayaning Kabataang Pilipino. Mark was also recently named one of the 2010 Eat Bulaga Heroes for showing extraordinary deeds- simple acts which created huge and lasting positive change.Read his story here. 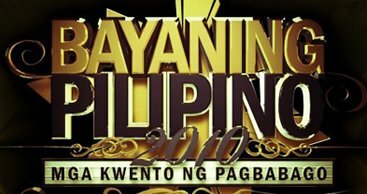 The official results of this year's Bayaning Pilipino and Bayaning Kabataang Pilipino Awards will be announced during Awards Night set on November 4. The annual Bayaning Pilipino Awards is a brainchild of the late Eugenio Lopez Jr., founder of ABS-CBN, through a partnership with Ugat Foundation.